Waterlase iPlus® serves as a commitment to better care and a foundation for practice growth. The Waterlase iPlus uses patented technology to provide a minimally invasive, highly precise, and an exceptionally gentle dental experience for your patients. Waterlase iPlus is cleared for over 80 different indications for soft tissue, hard tissue, and bone—more than any other dental laser! Empower you and your team to offer patients the best possible dental experience with single-visit, multi-quadrant, minimally invasive dentistry. 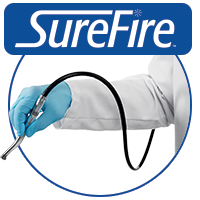 Effectively manage periodontal and peri-implantitis patients with the REPAIR™ protocols and Waterlase iPlus. REPAIR Perio™ and REPAIR Implant™ provide clinicians with scientifically advanced, laser-based- treatment methods to assist in disease management. 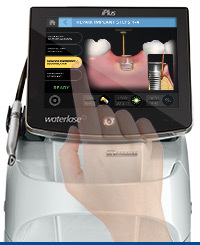 Waterlase iPlus has an intuitive graphic user interface that includes 56 pre-set procedures for select-and-go treatment. With more clearances and indications than any other dental laser, the Waterlase iPlus will add incremental revenue to your practice and expand your clinical offerings. Waterlase iPlus has the lightest, most flexible trunk fiber ever to decrease resistance and treatment fatigue. Redesigned optic efficiently delivers laser energy to cut enamel, dentin, and bone with increased precision. 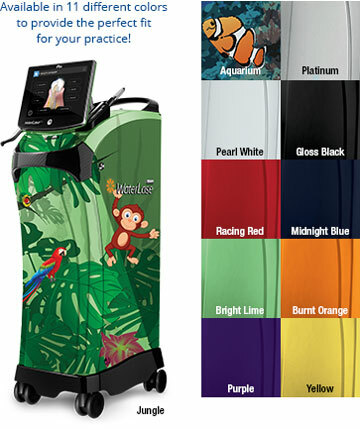 Let Waterlase iPlus open a new world of clinical possibilities for your practice. Rejuvenate your practice and provide your patients with the minimally invasive treatment options they are seeking. Fill out the form below to download the Waterlase iPlus brochure.